Science researcher Lara Shepherd explores the distribution of kōwhai in New Zealand – largely found in the north and likely introduced in the south. 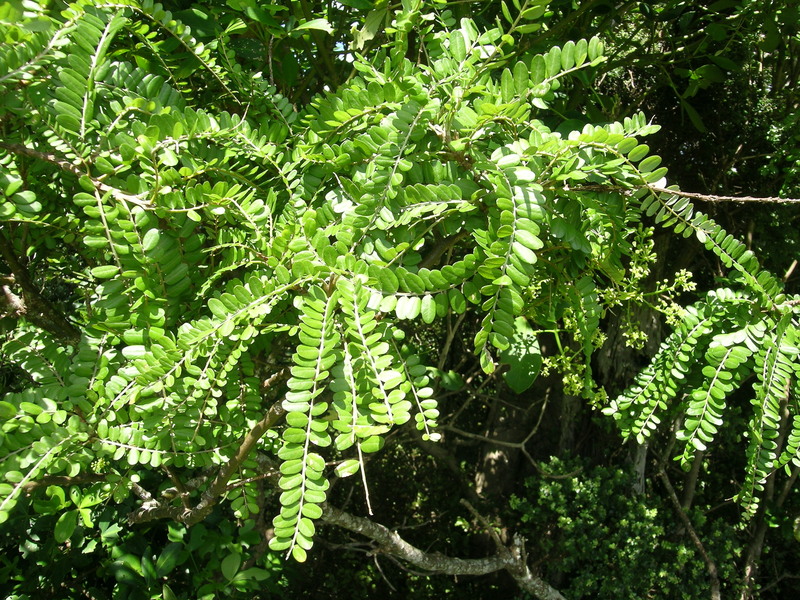 Coastal kōwhai (Sophora chathamica) has a very unusual distribution. Some of its outlying populations are suggested to have been planted by Maōri. We recently published our research studying the relationships of all eight New Zealand kōwhai species. In this study we also investigated the origins of the outlying populations of coastal kōwhai. Compared to the common and widespread small-leaved kōwhai (Sophora microphylla), coastal kōwhai has a more restricted distribution: it is most frequent in the northern part of the North Island, where it is occurs just north of New Plymouth on the west coast and to Thames on the east coast. From there it is absent until Wellington, the Chatham Islands, and two sites on the South Island (Whanganui Inlet and Otago Peninsula). 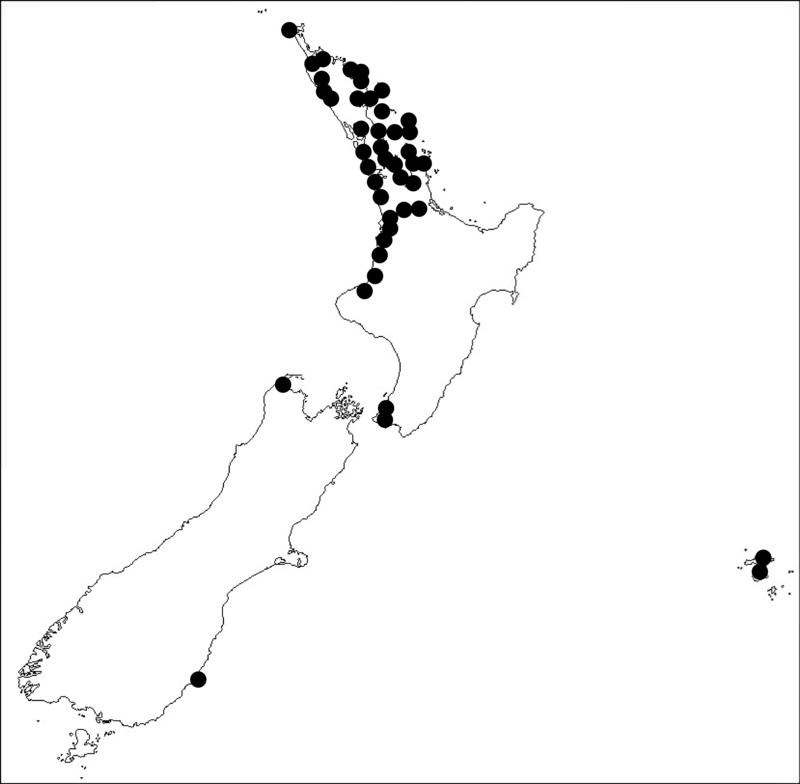 Because they are so distant from the main populations of coastal kōwhai, these southern occurrences have been suggested to be a result of plantings by Māori from the western Waikato and Taranaki. Our genetic results, however, suggest it is unlikely that all of the coastal kōwhai in southern New Zealand are derived from the western Waikato and Taranaki. This is because two of the DNA variants that we found in coastal kōwhai from Wellington, Chatham Islands, and the South Island were not found in any of the kōwhai species in northern New Zealand, including coastal kōwhai. This suggests that coastal kōwhai has been located in these southern sites a long time, and is part of the pre-human flora of these areas. Nevertheless, we cannot rule out the possibility that some of the Wellington and Chatham Island plants derive from plantings sourced from the north. The reason for the observed disjunct distribution in coastal kōwhai is unclear. Although some of the areas where coastal kōwhai is missing, such as the Manawatu plains, may not provide appropriate habitat for this species, there are many places that appear suitable, such as the eastern Bay of Plenty. It is possible that other factors, such as coastal currents or climatic conditions may be causing the observed distribution.